Redemption time: 3 Points only, NOTHING ELSE WILL DO. We face Pillars on Sunday in a game that even though it means nothing to the visitors, it means everything to us. The fans have reluctantly swallowed the bitter pill of finishing second best again but anything short of three points could see us fall even lower the pecking order, finishing outside the Champions League spots. Let’s be frank, this season was just one that we never really got there. Poor results especially in the Oriental Derby games and our TV games meant that we finished behind Pillars for another consecutive season. 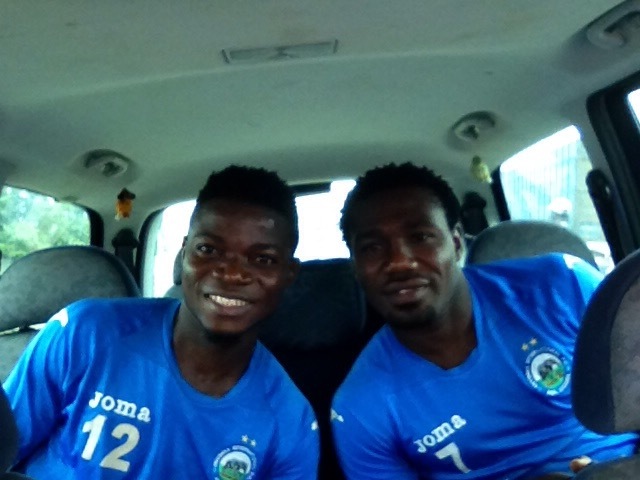 Warri Wolves are one point below us on the log and they face Nasarawa United on Sunday. Nasarawa themselves are on 57 points and if they win their remaining two games, then they will be ending the season on 63 points. We are currently on 61 points and we can only avoid all that madness if we pick our three points against Pillars. Make no mistakes about it, Pillars will be doing us no favors. They will come all out hoping to not just celebrate their successful title Defence on our grounds but to damage our Continental hopes. This is a game where we must be at our exceptional best. Yes, finishing third will put us in the Confederations Cup but guys, we deserve to be in the CAF Champions League every season hence we cannot afford any slip, no not against Pillars. All through the season we have maintained that we are better than they are, now here’s a chance to show it. The odds are stacked on both sides, depending on which you want to stand with. Enyimba has never lost to Pillars in Aba. Good news but then again, Enyimba have never won a TV game this season. Let’s hope that it’s the former that prevails and we maintain our unbeaten run against them in Aba. There’s so much to talk about as far as this season is concerned, the mistakes that were made and the way forward but let’s win the two games this weekend and the next as Udoji said in that interview on the LMC site. If you are in Aba this weekend, then there’s no better place to be 4pm than at the stadium. Thatenyimbafan might have a surprise for at least three of our blog readers who He meets at the Stadium on Sunday. Congrats to Sokari and Mfon on their impressive performance for the Super Eagles. Those two I’m very certain are going places if they keep their heads down and work hard. The Long Season ends on Sunday, let’s end it on a high. Previous postWhen the chips are down, again not good enough. Next postOne win down, One more to go.